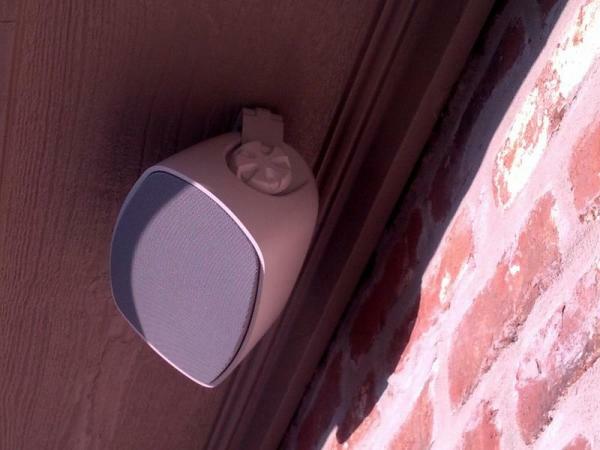 Note: Some installs involving stone or brick walls may be impossible to conceal wires and will be addressed during walk-through. Prices are at average cost for services. Some TV installs are complex and are subject to additional cost, TV's over 55 inches, Custom mounts, Sound bar mounts and installations, Travel more the 50 miles from techs remote area, Extra long HDMI, Dolby Digital or Component Cables, additional services such as line relocation's, electrical outlets are not part of the proposed estimate. ​All our Services come with a 2 years warranty in labor and materials used from the company. Your satisfaction is our success!!! Vontech TV offers and specializes in flat panel TV mounting. 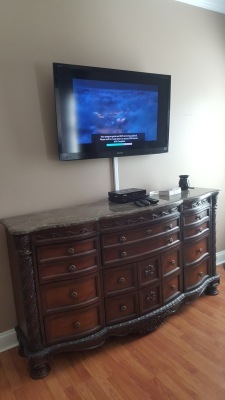 Some refer to it as a flat screen TV others as flat panel TV, whatever the case may be trust Vontech TV for all your high definition TV wall mounting projects. Vontech TV specializes in wall mounted or ceiling/pole mounted installations, we can hang your HDTV, LCD, Plasma, LED, LCD, 3D OR 4K TV. Whether mounting your television over & above a fireplace in your home, or an installation for your office or place of business. For non-wall mounted solutions Vontech TV offers TV setup or tabletop TV installation. Working with a fireplace to mount a TV is not always easy and others tend to avoid tv installations above a fireplace but not Vontech TV. We are often asked “Can you even install a TV over my fireplace?” or “I need some fireplace TV design ideas” and the answer is most always YES, no problem! 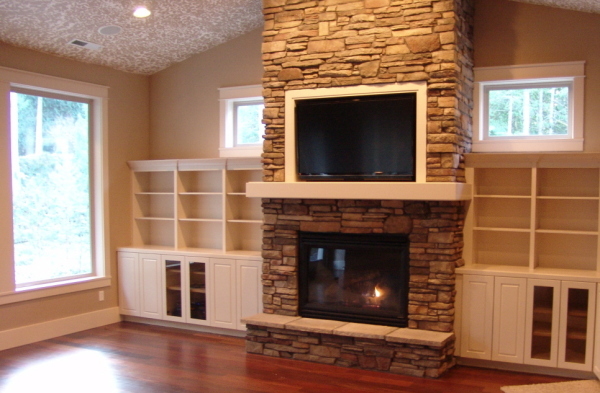 We specialize in how to install a flat screen TV above fireplaces. 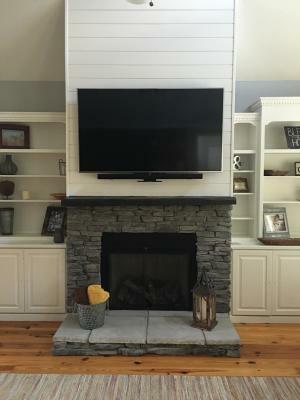 Whether with or without a mantle, masonry, marble, granite, wood, gas, brick, stone, tile, wood or drywall/sheetrock Vontech TV can handle your fireplace TV mounting we mount LED, LCD or Plasma TV’s above the fireplace as well as speaker mounting for your sound system above the fireplace. 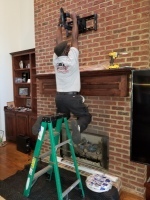 With ample experience in dealing with fireplaces of all sorts, old and new, we will professionally and successfully mount and install your television above the fireplace so you can enjoy your TV at the focal point of the room as well and still use your fireplace during the cold season. ​For expert surround sound installation, indoor or outdoor speakers or sound bar installation call Vontech TV We provide professional installation for all of your audio needs. We handle 2.1, 3.1, 5.1, 7.1 or 7.2 surround sound systems. 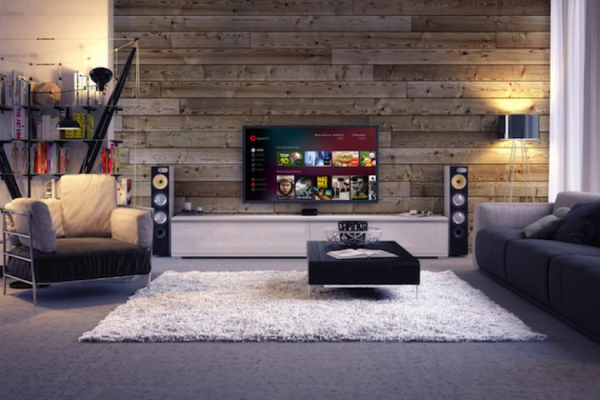 We also offer a multitude of sound bar options, sound bar may be utilized in application for smaller rooms or where space is limited for wiring. Vontech TV can install traditional wall mounted book-shelf type speakers, flush mounted in-wall or in-ceiling speakers and all types of sub woofers. Surround sound setup is also available for those who prefer robust sound without having to wall mount speakers. ​For your larger viewing needs Vontech TV offers several projector mounting solutions with wall mount or ceiling mounted options for home or business. Vontech TV offers a multitude of projector brackets or we can also install your projector with a customer provided mount. Projector installation services also include manual or motorized screen assembly and screen mounting. For a media room A/V installation or conference room installation please contact Vontech TV for complete solutions. Do you need your new TV-SET Delivered and/or Installed Today?. Vontech TV will help you, Vontech TV will pick up your TV from a retailer's distribution center and/or store location and deliver it to a place of your choice. 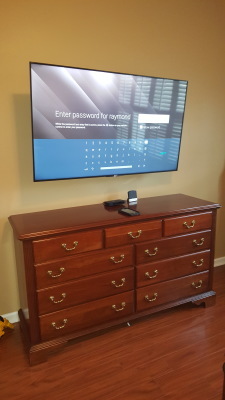 We will coordinate a convenient time with you to deliver your TV, unpack, connect it to your new or existing audio/visual equipment, and place it on an already-assembled stand or mount it to the wall of your choice. Tired of having several Remotes and the frustration that comes along with controlling multiple components and devices? 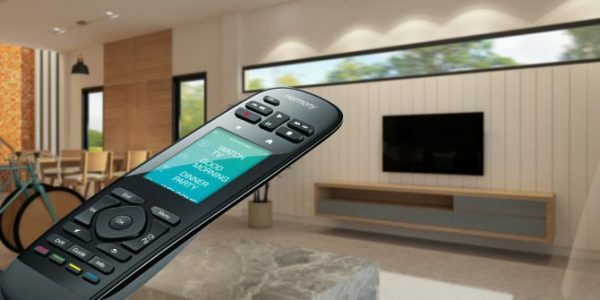 With the Logitech Harmony series of Remotes available from and programmed by Vontech TV, controlling and mastering your home entertainment system is simplified with one-touch commands. Vontech TV can program or re-program your existing Remote(s) or provide a Logitech Universal Remote model delivered complete with on-site custom programming. 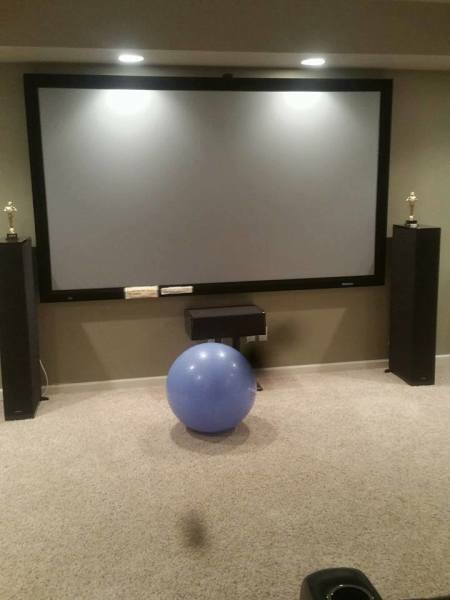 ​Hi-End Theater & Media Rooms Dreams?? A dedicated private theater is a room in which the environment has been specifically designed and equipped to provide a comfortable place for you to enjoy music and movies at their very best. 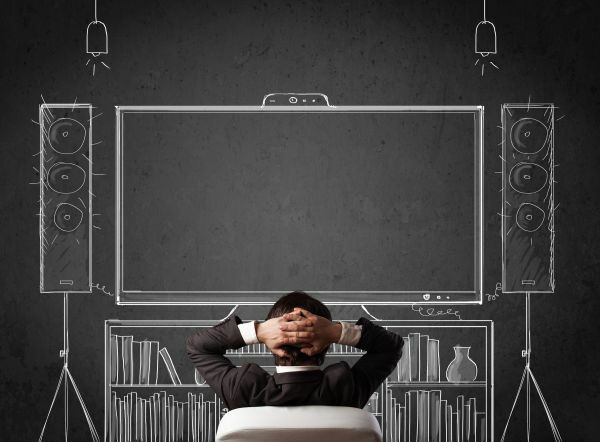 Vontech TV will love the opportunity to help your Hi-End Theater dreams come to your home. We offer professional A/V installation or AV install for places of worship, schools, medical facilities & offices, hotel/motel & hospitality, restaurant industry, bars, sports bar, clubs, and other non-residential facilities. We also offer turn-key TV installation for digital signage & PC monitors. Our multi media installation services include video walls, TV cubes, TV wall mounting, dual mounts, quad mounts and more. From AV design to implementation Vontech TV can create a custom A/V solution for any application. 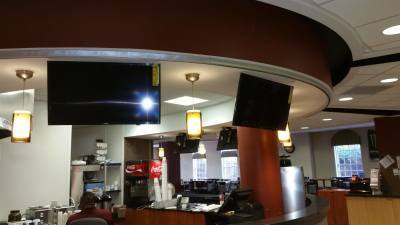 Trust Vontech TV for your commercial A/V installation and commercial TV Mounting needs.